The ring is specifically designed and tweeked to fit each uniquely cut gemstone. Sold by: Cathy Carmendy, Inc. This ring is a gorgeous 20 kt gold handmade ring. Each ring is one of a kind. The ring is specifically designed and tweeked to fit each uniquely cut gemstone. 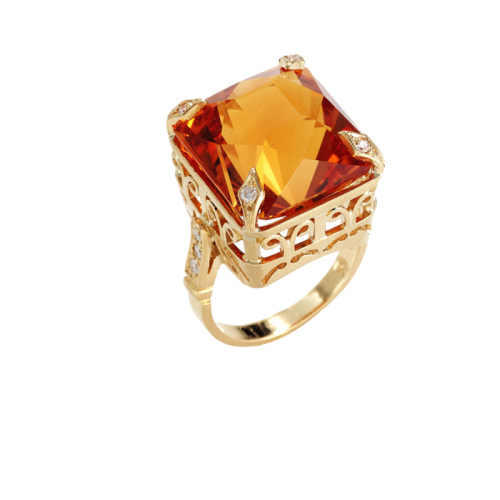 The ring in this picture is sold, but it had a 20.83 ct exceptional Citrine cut by John Dyer.